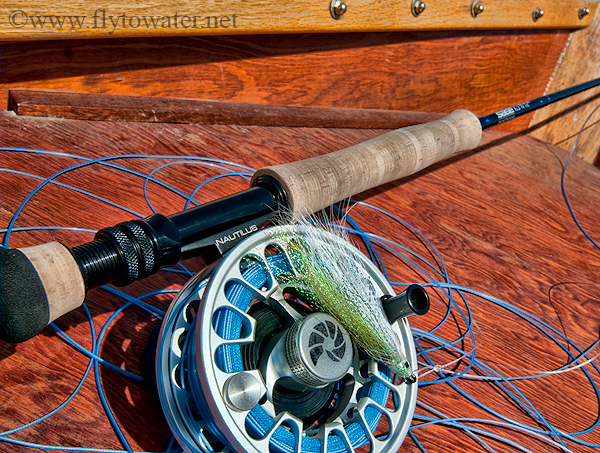 It's not that I have a fly fisherman's version of Tourette's Syndrome which causes me to spout socially inappropriate fly reel reviews in close proximity to one another. 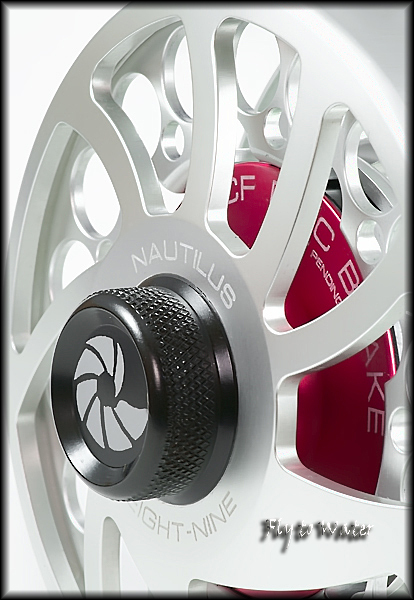 I've been using the Nautilus NV for about 6 months now, and feel it represents a key challenge to Lamson's Vanquish lineup. Why? Simply put, it's excellent and costs less. It's the perfect timing for a back-to-back review. Light weight is an obvious goal with big reels, and both the NV and Vanquish are heavily machined to reduce weight and maximize strength. The result? The NV offers a fully sealed disc drag made out of carbon and cork (CCF). This approach eliminates the maintenance needs of typical cork disc brakes and the heat build up of carbon materials. 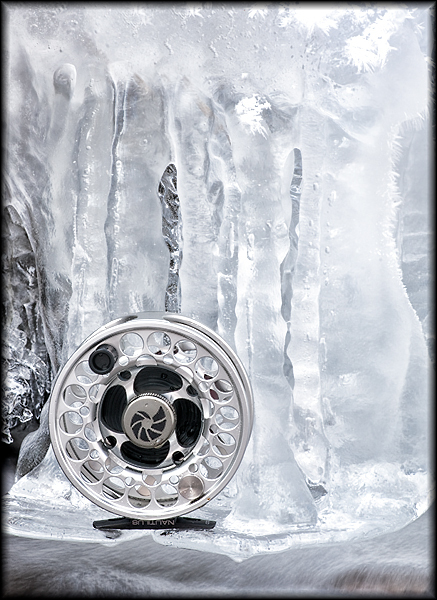 The open-face design of most cork drags such as Tibor and Abel is prone to contamination, hydroplaning, and ice up in cold temperatures. The CCF system eliminates those concerns as well. One down side of this design is that switching from right to left-handed retrieve is best left to the factory or your Nautilus dealer. Most people never change this anyway, but be aware of this gotcha if it's a factor for you. 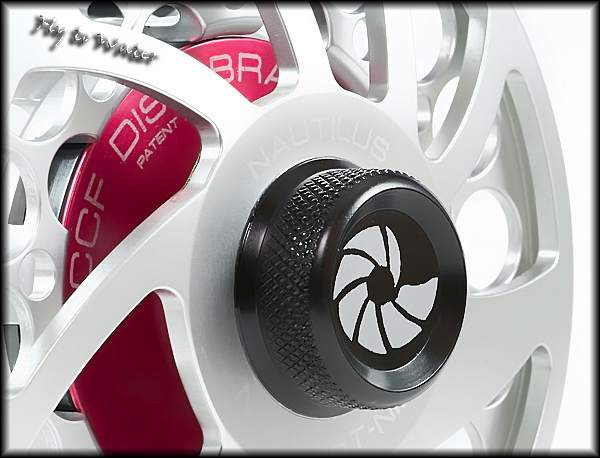 I love the spool release used by Nautilus. It's a knurled screw knob easily accessible with gloves in any conditions. A few turns and the spool is free, yet it's very secure at high RPM and under stress. When I first started using the NV, the drag knob raised my dander a bit. I love numbered drags, or at least any system that allows easily repeatable settings. The Nautilus has a checkered knob with no markings, and for me this is less than ideal. The adjustment tension is excellent and it's hard to accidentally change the setting. It was not until later that I found out the Nautilus Custom Shop offers a numbered drag option, and not surprisingly it happens to be one of the most frequently requested features among guides and pros. This numbering is beautifully done, and will be on any future reels I order. 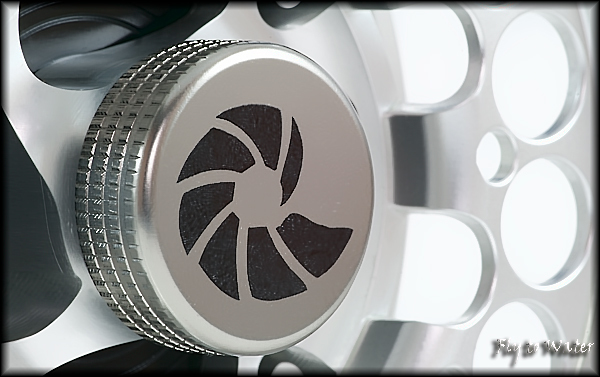 Nautilus also excels at color anodized finishes, and offers engraving and other custom work. Check out the NAUTILUS CUSTOM SHOP for details. I was curious to see how the CCF drag would work under extremely cold conditions since I have experienced issues in the past with disc designs. 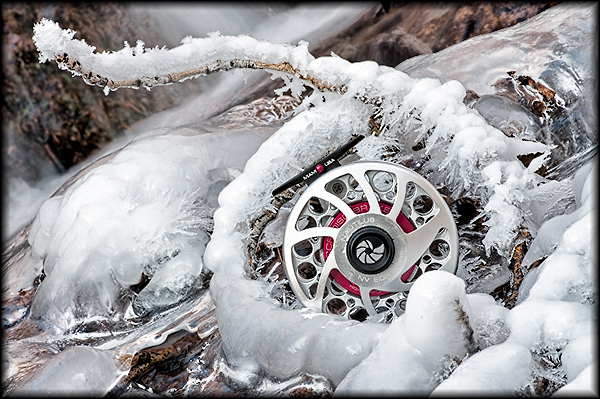 I went out this winter in temperatures down to -6° F and submerged the reel completely, then allowed it to freeze solid in the frigid air. Each time, a little pressure on the reel handle would easily break the ice build up and the NV would function without a hitch. The NV is simply outstanding within its price range, and I can't think of any reasons NOT to buy one. 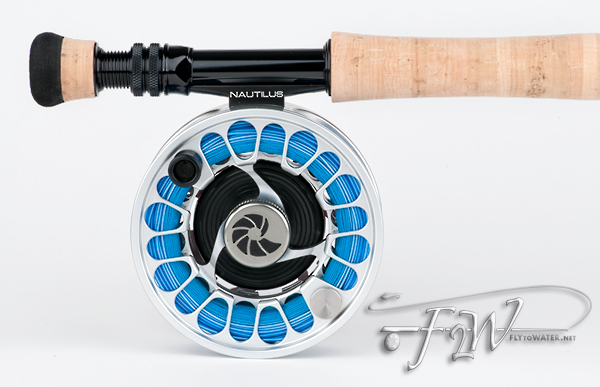 If you'd like to shop for the NV, or other Nautilus models like the Featherweight and CCF, check out STILLWATER FLY SHOP. They include any fly line up to $75 with the purchase. 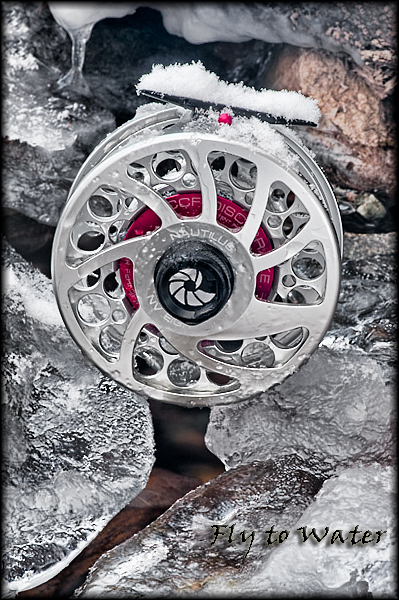 That's a sweet looking reel! A bit out of my price range, but sounds like a good deal. Do they make a smaller reel? I tend to lean toward the smaller stuff 3-5 wt. Thanks Scott. The NV is the bruiser of the lineup with a drag system that won't back down from fast moving saltwater species. 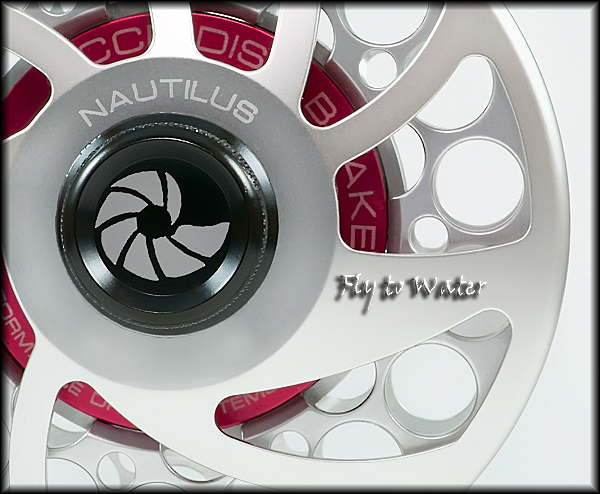 Check out the Nautilus Featherweight 3+ or 5+. They start around $240, and if you get them from www.stillwaterflyshop.com it will come with a free fly line. That's more like it! I have a Lamson 3/4 wt, but want something in the 5 wt range. I read both reviews and need to rob a small bank to claim them both. I do have the reasonably priced Lamson Guru 2 and have been happy with it. @Rebecca: With the Outdooress groupies accumulating at a rate of 10³ per week, I see endorsements lining up in the future. Be ready to change domains to Gearess.com.